Here in Ocean County there are a lot of Giants fans, obviously, some Jets fans, and of course some Eagles fans. But there are also others peppered in too. 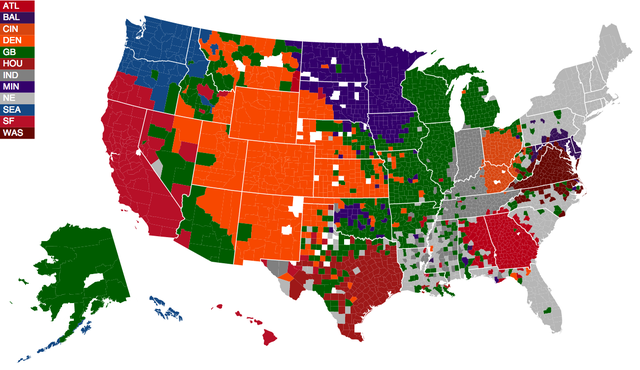 This really interesting map from Deadspin shows where team fans fall across the country. For example, interestingly, there are apparently a lot of Denver fans in Arizona. Check out all of the maps here and let us know if you think it's accurate. Are you a fan of a team other than Giants, Jets, or Eagles? Shout out your favorites in the comments section!